Pastel, attributed to James Sharples, Sr. (c. 1798-1800); Independence National Historical Park. Throughout his short life Richard Dobbs Spaight, who represented North Carolina in the Constitutional Convention, exhibited a marked devotion to the ideals heralded by the Revolution. The nephew of a Royal governor, possessed of all the advantages that accompanied such rank and political access, Spaight nevertheless fought for the political and economic rights of his fellow citizens, first on the battlefield against the forces of an authoritarian Parliament and later in state and national legislatures against those who he felt sought excessive government control over the lives of the people. The preservation of liberty was his political lodestar. Always an ardent nationalist, Spaight firmly supported the cause of effective central government. In this, he reflected a viewpoint common among veterans of the Revolution: that only a close union of all the states could preserve the liberties won by the cooperation of all the colonies. At the same time, Spaight believed that to guarantee the free exercise of these liberties, the powers of the state must be both limited and strictly defined. He therefore advocated constitutional provisions at the Convention that would protect the rights of the small states against the political power of their more populous neighbors, just as he later would fight for a constitutionally defined bill of rights to defend the individual citizen against the powers of government. Spaight's political ideas were formed during a youth spent outside his native North Carolina. Following the death of his parents in 1767, the boy sailed to Ireland to be raised and educated among his Anglo-Irish relatives. This experience, which would include matriculation at the University of Glasgow, thrust the young colonial into the intellectual ferment swirling around the philosophers of the Enlightenment. These men taught that government was a solemn social contract between the people and their sovereign, with each party possessing certain inalienable rights. Like many of their American counterparts, the Anglo-Irish politicians considered themselves Englishmen with all the ancient rights and privileges such citizenship conferred and were quick to oppose any abridgment of those rights by Parliament. But while the Irish had been able to retain home rule, the American colonies were finding the power of their popular assemblies increasingly curtailed by a Parliament anxious to end an era of "salutary neglect." The contrast was not lost on young Spaight. The Declaration of Independence found a sympathetic audience in Ireland, and Spaight's loyalty to the Patriot cause only increased with the news in 1777 that North Carolina units had participated in the battle of Brandywine. In his twentieth year Spaight made his own private declaration of independence from the British sovereign. He traveled to the Continent to secure passage for the dangerous trip to America. Successfully evading the blockading British fleet, he arrived back in North Carolina in early 1778 and promptly offered his services to Governor Richard Caswell. Caswell, who under the state constitution also served as commander in chief of the militia, appointed the well-educated, socially prominent patriot as his aide-de-camp. In this capacity Spaight helped organize the mobilization of North Carolina's militia in 1778 and again in 1779. Despite the increasingly democratic inclinations of the age, family and fortune still counted heavily in the political life of the North Carolina seaboard. Spaight's uncle, Arthur Dobbs, whose name Spaight proudly and conspicuously bore, had been a highly popular Royal governor. His father, a popular Royal official in his own right, was North Carolina's treasurer and later a member of the Royal Governor's Council, the executive committee that directed the affairs of the colony. The Spaight family enjoyed extensive properties in the mercantile-planter region of Pamlico Sound. These advantages brought with them a traditional deference, especially when combined with young Spaight's patriotic ardor, and made the newly returned native son a natural choice for hometown voters. In 1779 the citizens of Newbern elected him to the state legislature, where he would remain for nearly a decade, including one term as speaker. As a legislator the young man quickly won a reputation for conscientiousness and industry, especially for his work in committees that dealt with militia and financial matters. Although he lacked the oratorical gifts in an age that set great store on such abilities, Spaight quickly developed a facility in the equally valuable art of compromise. This knack of reconciling the political differences of his colleagues would later stand him in good stead in the national political arena. Although a member of the North Carolina legislature, Spaight remained active in the militia, eventually rising to the rank of lieutenant colonel in command of an artillery regiment. Under General George Washington's strategy for the conduct of the Revolutionary War, militia forces had an exact and important role. Washington planned for a main force of regulars to serve as a Continental Army in opposition to major British forces while the militia protected isolated areas, conducted security missions on the frontiers and against Loyalist units, and reinforced the continentals in major campaigns. Accordingly, North Carolina supplied units for the Continental Army in defense of Philadelphia in 1777 and New York in 1778 and 1779 before the war shifted south. At the same time, it used its militia to defend its western frontiers and to suppress a Loyalist uprising in South Carolina. The fall of Charleston, South Carolina, to the British in 1780 was a crushing blow to American fortunes. Most of the region's continentals became prisoners of war, opening the whole southern tier of states to invasion. In hastily devising a defense strategy, the Continental Congress called on Governor Caswell to recruit 4,000 militiamen to take to the field under his command. Spaight wrestled with the mechanics of mobilization and helped train the recruits who began trickling into central camps. These units were to be combined with a similar militia force raised in Virginia by Governor Thomas Jefferson and a division of continentals sent to the region by Washington. This force, under the command of Major General Horatio Gates, the hero of Saratoga, was expected to counter the British army under the command of General Charles Cornwallis that had established a base at Camden, South Carolina. In early July Spaight donned uniform and marched with the state militia units into South Carolina. On 16 August Gates' army moved forward to attack the British at Camden. Deploying his continentals to the right and the militia on his left flank, Gates advanced. His soldiers were exhausted from weeks of marching and insufficient rations. Furthermore, the militia had only recently joined with the regulars, and the disciplined teamwork between the two components, especially necessary before hastily assembled militia units could be expected to perform the intricate maneuvers of eighteenth-century linear warfare, had not yet been achieved. Although the continentals easily advanced against the enemy, the militia lost its cohesion in the smoke and confusion, and its lines crumbled. Cornwallis then shifted all his forces against the continentals. In less than an hour Gates' army had been lost to the Patriot cause. Spaight remained on active duty during the aftermath of the defeat. Once more he was involved with his states efforts to raise forces to cope with an invasion. But during these months he also witnessed Major General Nathanael Greene's successful effort to restore American control over the south. Avoiding Gates' mistakes, Greene delayed mobilization of the militia units until he had a clear need for them in roles that matched their particular abilities. His success in blending the talents of citizen-soldiers with his continentals created an effective force that divided and isolated the British into small, ineffective groups, and then drove them back to the coast. Spaight's participation in the mobilization of two American armies and his experiences in the state legislature reinforced the young Patriot's nationalist sentiments. Coordinating the contribution and duties of forces from various states convinced him of the need for close and binding interstate cooperation. In pursuing the interests of his constituents, Spaight concluded that the economic potential of the new nation, in particular that of its mercantile interests, could only be realized under a strong national government. This nationalism was further strengthened in 1783 when North Carolina elected Spaight to serve in the Continental Congress and when it chose him in 1787 as one of its representatives at the Constitutional Convention. Spaight attended every session of the Convention and supported the Great Compromise. Designed to protect the rights of both the small and the more populous states, this compromise called for a national legislature that gave equal voice to all thirteen states in a Senate composed of two members from each, but which respected the rights of the majority in a House of Representatives based on population. Spaight's major contribution to constitutional government- took place not in Philadelphia but in his native state, where the fight for ratification proved exceptionally difficult. The Anti-Federalists were in the majority when the ratifying convention met at Hillsboro in 1788. They did not plan to reject the Constitution outright, preferring to recommend a series of amendments, specifically a bill of rights, and adjourn. When the Federalists forced the issue, the Constitution went down to defeat. The Federalists bided their time. They kept closely informed about the ratification progress in other parts of the country through Spaight's contacts with George Washington. By 1791 the Constitution had been approved by eleven states and the new national Congress had submitted a bill of rights to the states in the form of ten amendments to the Constitution. With Anti-Federalist power in North Carolina eroding, Spaight and his colleagues called for a new ratifying convention. Their strategy worked. Even the traditionally Anti-Federalist western. counties now elected Federalist delegates, and North Carolina quickly approved the Constitution. 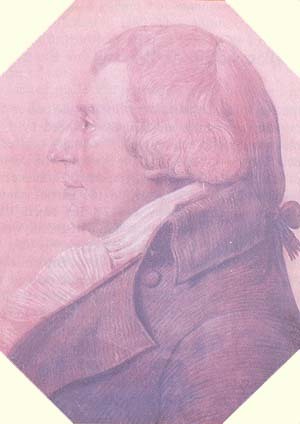 Spaight retired from public life in early 1792, but he was again returned to the state legislature later that same year. In 1793 he became governor, the first native-born North Carolinian to win that position. Here his leadership abilities were evident when he organized the politically difficult movement of the state capital to Raleigh. He was also instrumental in establishing a state university, a project that this European-trained scholar considered of first importance to the future of North Carolina. Using skills developed during the Revolution, he organized the mobilization of the state militia to cope with Indian unrest and, at President Washington's request, prepared for a massive mobilization in 1794 to deal with potential conflict with French privateers. Often in poor health, Spaight retired from public life several more times. He was elected to the House of Representatives in 1798 and served slightly more than one term before health problems forced his resignation. While in Congress Spaight's increasing concern with states' rights led him to abandon the Federalist cause and join the Democratic-Republican party forming around Thomas Jefferson. He emerged from retirement one last time in 1801 to run for the state senate. A bitter argument with his Federalist rival, John Stanley, ended in a pistol due] on the outskirts of Newbern. After each party missed three successive shots, Spaight was hit and fell mortally wounded.